Over the years, we have played an integral part in the development and progress of the city, towns, and communities we serve in the counties of Bullock, Macon, Barbour, and Pike. 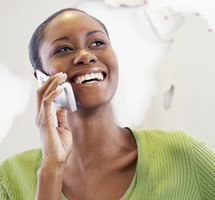 Our goal is to continue to provide you with excellent telephone, internet and television service. To better serve you, we regularly update our web site with useful information and will continue to keep you informed about new and updated services. Union Springs Telephone Company has been in business since 1955 providing top quality telephone, video, long distance, and Internet services. In 2002, we were one of the first rural telephone companies in the United States to add Fiber to the Premise (FTTP). Mrs. Billie Pirnie, owner of the company, continues to show insight and innovation in providing “up-to-date” technology for our customers. One of our top priorities is providing access to High-speed/Broadband Internet Access to all the subscribers in our 900 square mile service area. In addition to over 1,800 Fiber customers, we have added 32 separate DSLAM (Digital Subscriber Line Access Multiplexer) sites to our network with more to follow. A Digital Subscriber Line (DSL) allows even the most rural customer to have high-speed internet access. Current statistics indicate over 93% of all USTC telephone subscribers now have the ability to connect to the internet via a high-speed connection. Our goal is to make high-speed internet available to 100% of our customers. Several months ago, we started a massive project to add fiber connections to each of the DSLAM sites. This will further increase the Internet connection speed for our customers. Copyright © 2009-2017. Union Springs Telephone Company. All rights reserved.